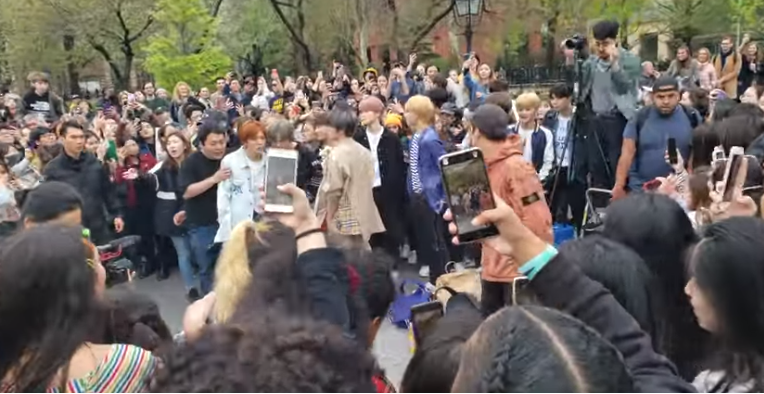 NCT 127 Kpop group gamely joins the crowd as they surprised them with a random play dance which was been hosted by YouTuber "GoToe". The Kpop Random Play Dances which was held in Washington Square Arch in NYC had started making the crowd going crazy. At first fans are rushed going to them, but everything has been put back into order towards the end, while their song was being played and they joined in on the dancing. NCT 127 is set to release their new album "We Are Superhuman" on May 24, 2019. A huge earthquake hit the Philippines in two consecutive days. The 6.1 magnitude that jolts Central Luzon on Monday, April 22 and Tuesday, April 23 in the Visayas region which recorded a 6.5 magnitude. According to the Philippines Institute of Volcanology and Seismology (PHILVOCS), the earthquake was originated in the town of San Julian in Eastern Samar. Social media users quickly took to social media to share the aftermath of the earthquake and here are some of the footage's that we compiled. "Di ako ganitong tao! pero Para sayo gagawin ko sumaya ka lang," Ronnie Alonte's birthday message to Loisa Andalio. Alonte surprised his girlfriend in a venue decorated with rose petals in a form of a heart, tea light candles, and a balloons on the floor. Loisa Andalio who turns 20 on Easter Sunday, April 21 shared a photos showing some friends behind the surprise birthday gift. Thank you ng sobra sayo beh para sa lahat, I love you very much! ❤️😭 always and forever. "Thank you ng sobra sayo beh para sa lahat, I love you very much!" Loisa wrote on her Instagram post. Shawn Mendes is returning back to Manila on October 10, 2019 at the Mall of Asia Arena. The Canadian singer announced the good news for his Filipino fans on Tuesday via Facebook. The Tour will start in Bangkok, Thailand and will end in Tokyo, Japan. Fans can expect his performance from his 2018 album such as "In My Blood," "Lost in Japan," and "Youth (feat. Khalid)." 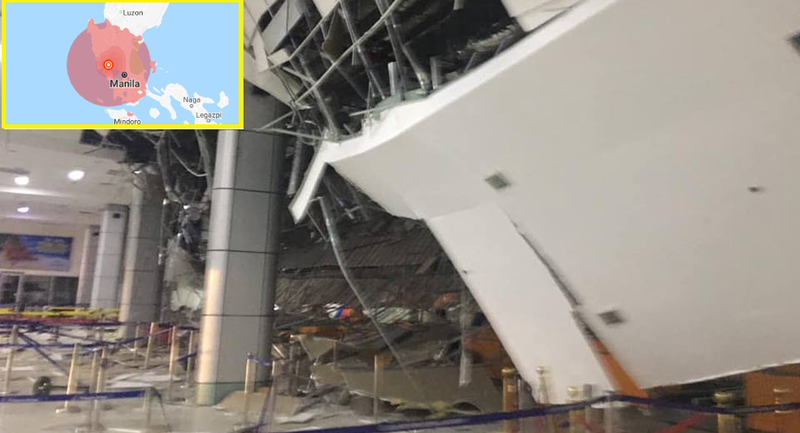 After the destruction caused by earthquake that hit Pampanga yesterday April 22, 2019, airport authorities issued the cancellation of some flights to or from Clark International Airport. Here are the flights that have been canceled according to the Manila International Airport Authority. 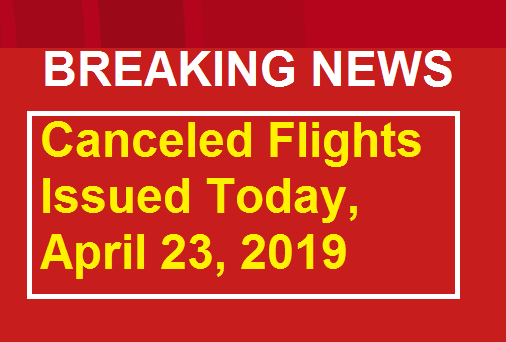 Source: AirAsia travel advisory flights to/from Clark, Philippines. Clark airport shuts down for 24 hours starting 7:40 p.m. Monday after a strong earthquake, CIAC news release. 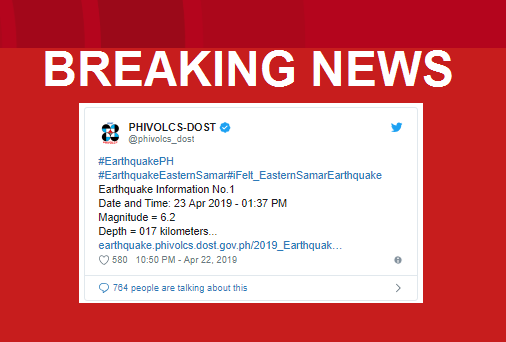 Another 6.2 magnitude earthquake jolts Eastern Samar at 1:37 today, April 23, Tuesday, according to the Philippine Institute of Volcanology and Seismology (PHIVOLCS). The earthquake's epicenter was located in San Julian, Eastern Samar, Phivolcs said in an advisory. Intensity V was felt in Tacloban City and Catbalogan City while Intensity IV was recorded in Masbate City, Legazpi City, and Sorsogon City. Yesterday April 22, a magnitude 6.1 earthquake rocks Zambales at 5:11 P.M. Monday. The Philippine Institute of Volcanology and Seismology (Phivolcs) recorded the origin and its epicenter 18 kms. northeast of Castillejos, Zambales with a depth of 21 kms. 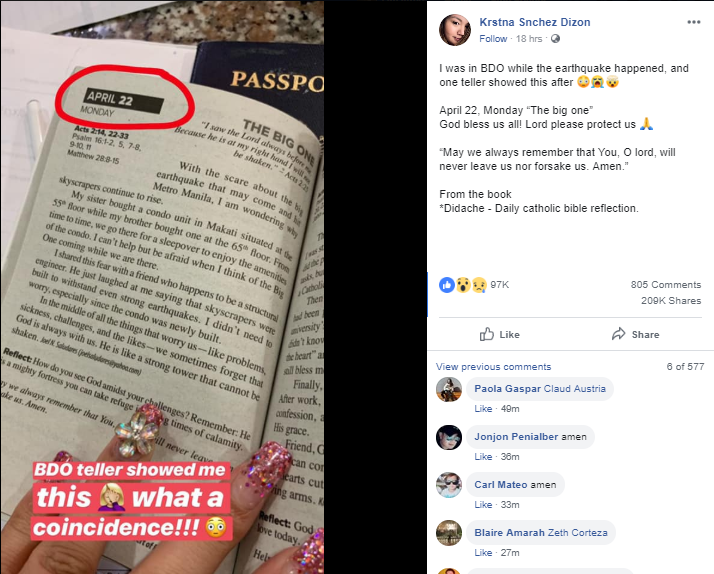 A daily bible reflection from Didache April 22, Monday shocked netizens as it happened what is written. "The Big One," "I saw the Lord always before me Because he is at my right hand I will not be shaken - Acts 2:25," Krstna Snchez Dizon shared on her Facebook post a page from Didache - Daily Catholic Bible Reflection. "I was in BDO while the earthquake happened, and one teller showed this after," Dizon wrote on her Facebook post. Didache is the catholic daily bible reflection booklet. This is also known as the teaching of the twelve Apostles, dated by most scholars to the first century. Reden Cuenta - Nkktakot...kc halos lahat tau nwalan n ng pnanampalataya s knya. Lahat tau ndi n halos CIA nkklala. Nwala n ang dios s mga puso natin..
Șšörõj Lăhähm Leim Ash - dpat lamang na tuong maging handa s panahong darating dahil lhat ng nasusulat ay matutupad. Dpat nga tyong mag diwang sa knayang pagbabalik. 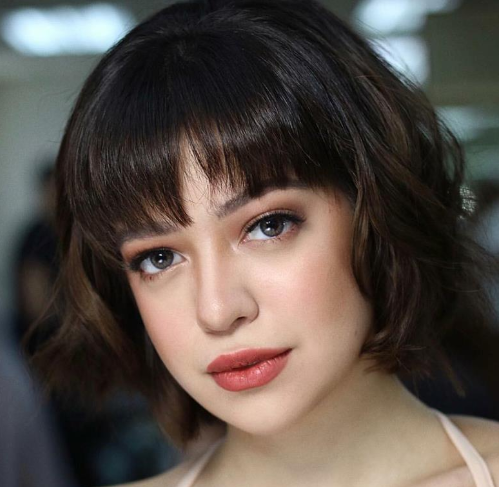 Dhil lhat ng namuhay kay Jesus at s knyang mga turo at saway ang siyang unang bubuhayin at mkksama sa alapaap ksama ng Anak ng Diyos..
Sue Ramirez was spotted together with rumored boyfriend Joao Constancia in Negros Occidental. The two and some of their friends were having fun as they headed to the "Jewels" of the province in the south. Sipalay City is a giant treasure trove of underwater attractions which could be seen from above, its reefs resemble a kaleidoscope world surrounded with crystal clear blue waters. Sue shared a photo of her in a skimpy red bikini on Instagram. It easily became her most-liked photo for this month, with 538,900 likes. Moreover, Sue Ramirez had announced on Instagram post her first ever major concert to be held in the Music Museum this coming July. "I Am Ready For y'all!!!!" Sue wrote on her Instagram post. Here are some of the famous resorts and beaches to stay if you're planning to visit Sipalay City. Sue Ramirez to hold first major concert and she's ready! This is not a drill! Sue Ramirez is set to hold first ever major concert in Music Museum this coming July 2019. The announcement was made on the eve of Easter Sunday "I Am Ready For y'all!!!!" Sue wrote on her Instagram post. FLM Creatives and Productions has confirmed Sue's upcoming concert on their Facebook page. 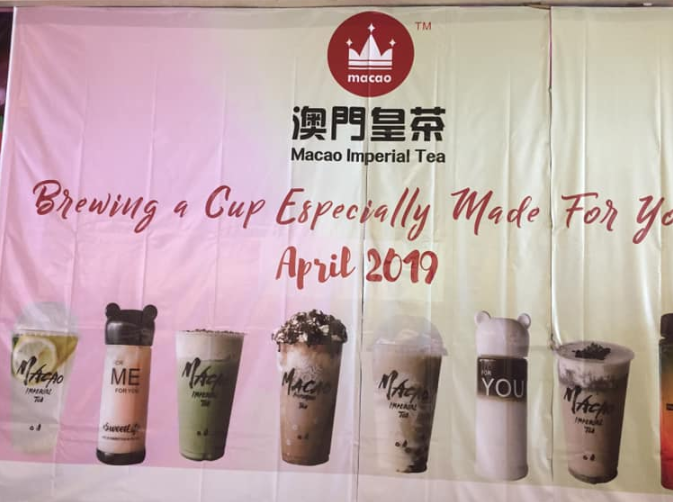 Heads up Tea and Coffee Lovers!Taiwan's Macao Imperial Tea will open its 1st branch at SM Bacolod. Macao Imperial Tea has over 350 branches all over the world, and at least ten in the Philippines so far, with more in the works. The cream Cheese series are a must-try, mostly because of the cream cheese sauce, which gives a taste of your drink a subtle saltiness and a frothy finish without overpowering at your tea. Don't miss the opening these April! Zambales, Philippines - A magnitude 6.1 earthquake rocks Zambales at 5:11 P.M. Monday. The Philippine Institute of Volcanology and Seismology (Phivolcs) recorded the origin and its epicenter 18 kms. northeast of Castillejos, Zambales with a depth of 21 kms. The quake was felt in the other areas of Metro Manila. 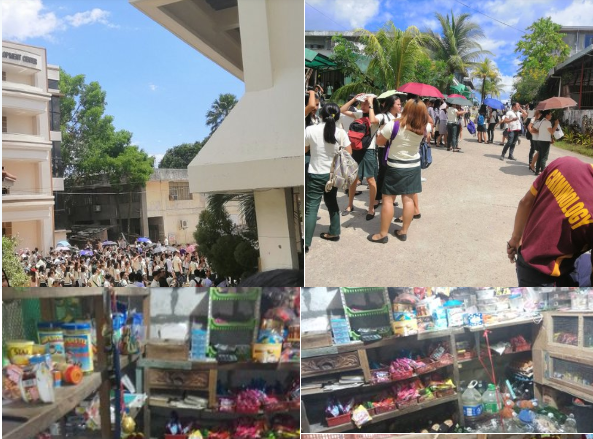 Here some of the scene taken during and after the earthquake. 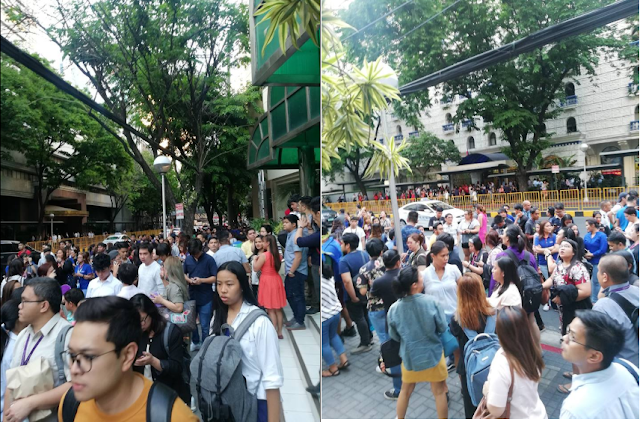 Buildings was seen swaying during a huge earthquake which was felt downtown Manila. 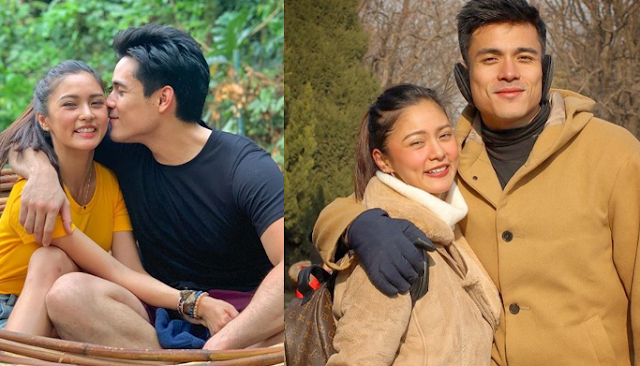 Xian Lim's heartfelt birthday message for Kim Chiu brings everyone feel the heat of summer with romantic excitement. Xian looked back the first time he met and fell for Kim Chiu, who celebrated her 30th birthday on Friday. "happy birthday to this beautiful person," Xian greeted his girlfriend in an Instagram post. "We first met about 10 years ago and I remember seeing one of your billboards while while driving and I remember saying to myself...“siguro ang sarap mahalin ang isang katulad mo”. "True enough, we started working together and I fell in love with you right away😊 I think it’s safe to say that we fell in love with each other right away❤️😊," Xian wrote in details how he met Kim Chiu and fell in love with her. Happy birthday to this beautiful person ❤️ @chinitaprincess. We first met about 10 years ago and I rememeber seeing one of your billlboards while driving and I remember saying to myself...“siguro ang sarap mahalin ang isang katulad mo”. True enough, we started working together and I fell in love with you right away😊 I think it’s safe to say that we fell in love with each other right away❤️😊 I don’t want to keep this too cheesy so I’ll end the message by saying stay the way you are. Keep being you because we see an awesome person that is brought in this world for a great reason. Keep inspiring the people around you and stay beautiful inside out❤️ Those three words are not enough but I’ll say it anyway...I love you❤️❤️❤️ and happy birthday petunia. To avoid his message sounds too cheesy, he ended up the post saying, "Keep being you because we see an awesome person that is brought in this world for a great reason. Keep inspiring the people around you and stay beautiful inside out❤️ Those three words are not enough but I’ll say it anyway...I love you❤️❤️❤️ and happy birthday petunia," He added. 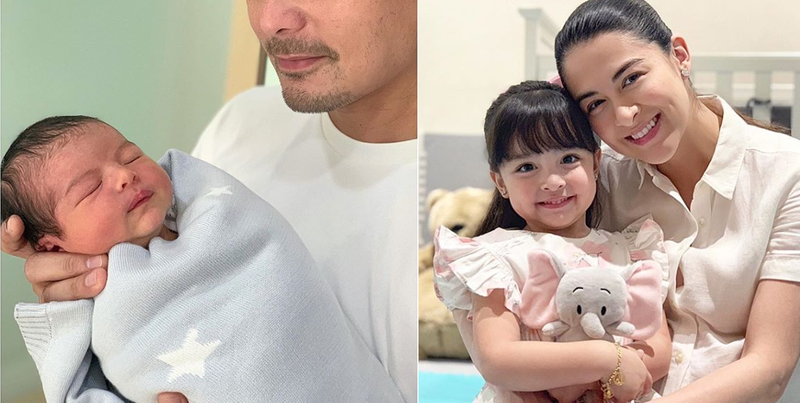 Marian Rivera and Dingdong Dantes welcomed their second child, a baby boy named Jose Sixto G. Dantes IV last April 16, 2019. "Noon, nangarap kaming magkaroon ng supling at binigyan Niya kami ng isa. Makalipas ang tatlong taon, humingi kami at ibinigay Niya. "Ang magkaroon ng isa pang lalaking anak ay sagot sa aming mga dasal, kaya’t naguumapaw ang aking puso sa biyayang ito. Akala ko hindi ko kakayanin, ngunit, nakaraos ako dahil sa supporta ng mga nagmamahal sa pamilya namin, lalung-lalo na dahil sa mga dasal niyong lahat. Maraming salamat. "Ngayong nabuhay na ulit si Hesus, muling ipinapaalala ng araw na ito na lahat tayo ay biyaya ng Diyos sa isa’t-isa," Marian wrote on her Instagram post. 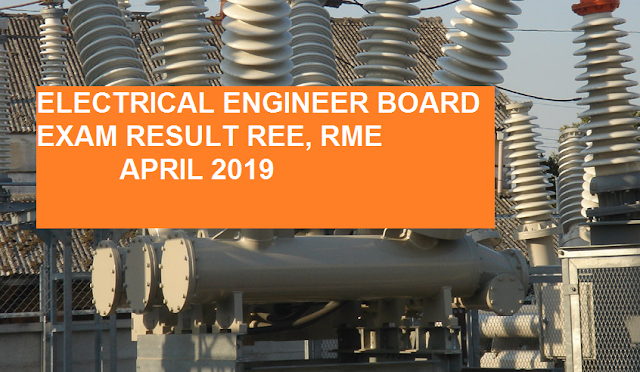 The April 2019 Registered Electrical Engineer (REE) and Registered Master Electricians (RME) board exam results, which include the list of passers, topnotchers (top 10), top performing schools and performance of schools are released online on Wednesday, April 24, 2019 or in 3-4 working days after the exam. Are you tired of lining up just to get a ticket for your travel? 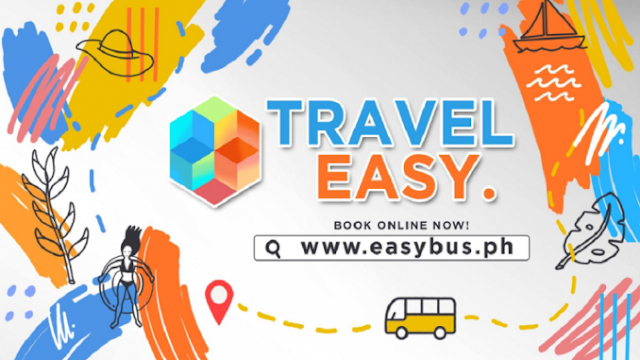 The Department of Science and Technology (DOST) has launched an online booking platform for provincial buses. Easybu PH is now ready to served you which has a trips going to Baguio City, Banaue, and Lagawe in Ifugao or Daet in Camarines Norte, Naga City and Iriga City in Cam Sur, Legazpi and Tabaco cities in Albay, and Gubat, Matnog, and Sorsogon City. Travelers could now book a bus ride for any of those top destinations in the country without worrying about the hassle. The idea has been developed through the effort of the Department of Science and technology (DOSt). Payment can be done online or through payment centers with a service fee. 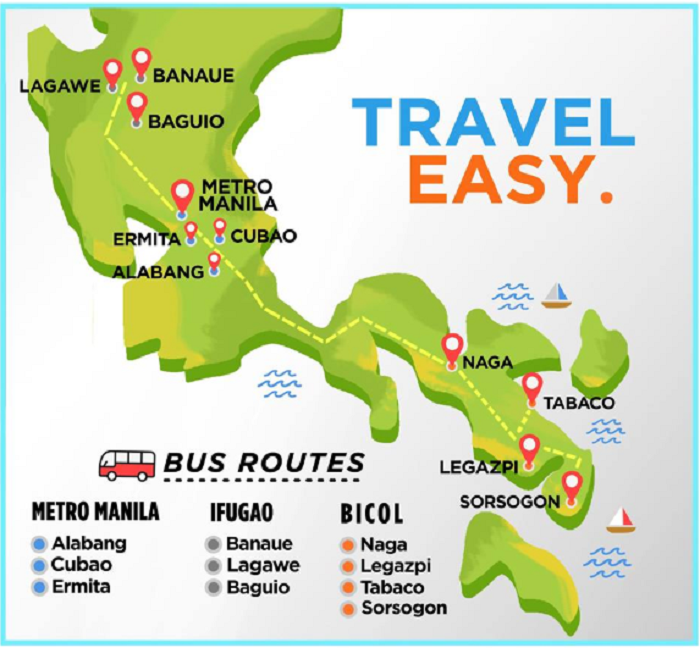 The idea will provide an easy, convenient, and fast way to get bus tickets going to the province, Dr. Enrico C. Paringit, executive director of the DOST-Philippine Council for industry, Anergy and Emerging technology research and Development (DOSt-PCIEERD) said. You may now visit the portal www.easybus.ph where they can access the schedule of the departure of the operating bus in the area. This is just like booking on the plane were you can see the destination, the bust type, remaining seats available, and other details for your trip.